Beets: What to Eat and What to Leave? Today’s Photo Shoot is a small one. 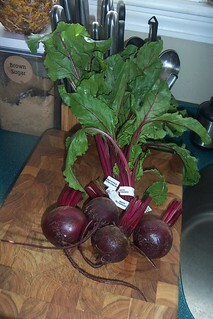 Paul went out early this morning to do the weekly food shopping and on my list were “beets” which we both love. 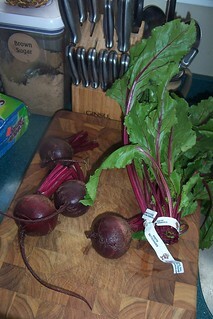 Oh there is nothing like fresh beets, even though the red-colouring factor leaves one’s hands red for hours and hours. Anyway, the reason I am using these photos is just that I have a question for you, my wise readers. Here is the quandary I’m in: How do I use the greens of beets? I know the greens probably contain tons of vitamins and minerals, as do most greens, but I’ve never cooked with them before. I’ve only thrown them away, and since these are such beautiful looking greens AND beets, I’d like to conserve a bit and use them if I can. Can I just throw them into a soup? Will they taste OK? I suppose I could actually try a leaf in my mouth, but I have already put them away in the fridge and was going to look up online what to do with them. Then I realized that some of you might just know how to cook with beet greens, so this is my quest – to find a good way to use them. NOTE: Here is a great recipe for beets and greens in the N.Y.Times. And a recipe for Tangy Buttered Beets & Beet Greens w/Dijon. Sounds great. 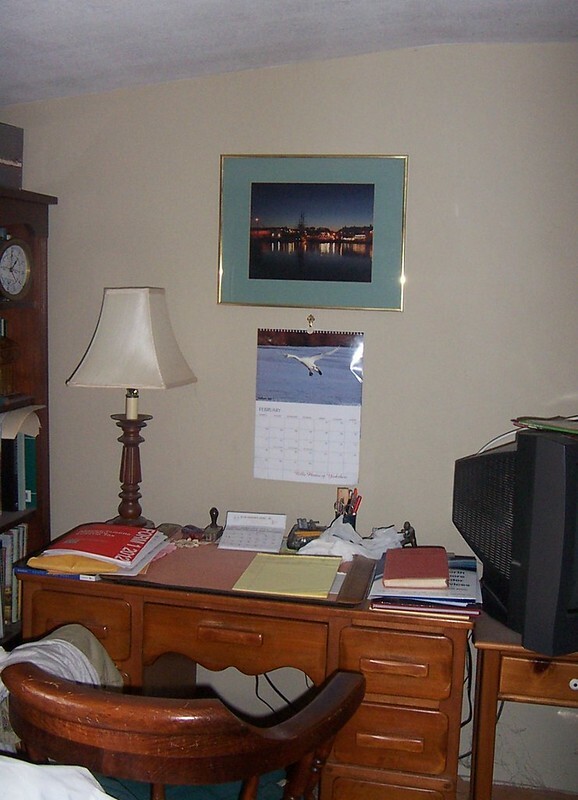 And for our friend Bill D. in Yorkshire, I thought you’d get a kick out of this photo of where we have hung your beautiful photograph of Whitby Harbour – it’s over Paul’s desk where he can gaze lovingly at our favourite place in all the world whilst he is doing his business tasks. Love it and we thank you very much, indeed, for it. Snow’s a’comin’ to our land tomorrow so the next Daily Photo Shoot might very well be white-on-white photos for the most part. with our friends, Don & Jean Burluraux. TT – I guarantee you that once you eat fresh beets roasted up like this, you’ll never want canned again. They have natural sugars in them and for some reason the natural sugars are cooked out of them when they are prepared for cans or jars. They are very hard and take extra time to cook, however, if you happen to have a pressure cooker, buy up a bunch of beets (I can only get bunches of 3 or 4 in a bunch) and peel and quarter them like I said and pressure-cook them for maybe 8-10 minutes (I’m just guessing here) – then you have a whole bunch cooked and can store them and the nutrients or taste won’t have boiled away. >I always resort to using a vegetable peeler on them and peel off the outer layer, quarter them up, and bake them in the oven covered in tin foil with some olive oil, salt, and pepper. Okay, you may have just opened me up to a new fresh veggie! We’ve also always done beets either canned or pickled – but we do love roasted fresh veggies and often do asparagus, parnsips, carrots, etc in the same way you just described above. Gotta have DH make these, now. Well, if he ever gets back from work. He actually went into work when we already have about 8 inches of snow on the ground and another possible 5 inches or more is forecast. It’s snowing like crazy here! to see if maybe we’ve had a lot of power outages because I would be unable to communicate here if that happens. We just used to boil the beet tops like Kale or Collards until they were tender. Of course the younger the beets the better the greens. 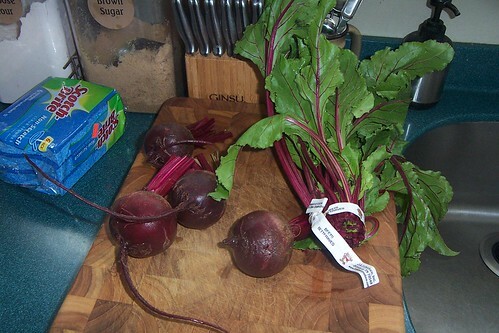 The best way to have beets is to pick them when they are very small and just throw them, greens and all, into the pot. Fantastic. 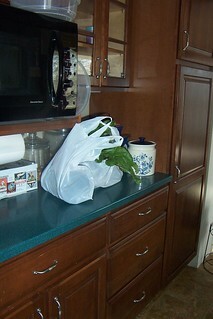 Stores will sometimes sell young beets and greens. We here in LA LA land chop them finely (raw) to toss in salads or cook them just as we do kale or chard (steamed). They’re slightly sweet, just as red beet roots are, so often we don’t put anything on them at all. Occasionally a dash of salad dressing is nice for a change. My mother liked vinegar and salt (yuck) on her greens. P.S. the roots don’t need to be peeled before cooking. When finished steaming or roasting, let them cool for 15 minutes or so and the skin will just slide off. P.P.S. Yes, you can just chop and throw into soup, but if you include the stem parts, be prepared for pink soup. Delicious, however. Sandy? No kidding? The “real” beets are so much better than anything out of a can. I admit that I don’t often buy them fresh, but lately, since Paul expressed a true love of them, we’ve been buying them fresh when we can. There are differing ideas as to the best way to cook these beauties and I always resort to using a vegetable peeler on them and peel off the outer layer, quarter them up, and bake them in the oven covered in tin foil with some olive oil, salt, and pepper. If you cook them in with other things, everything turns red. Plainly baked/roasted, they are so sweet and good! You need to try them…. I have never in all my 75 years had a real beet..they have always came in a jar done up …my my I will be looking forward to all the hints. You can cook them like any other green leafy vegetable such as spinach. They are good and very nutritious. Lucky you that your husband likes them. My hubby will eat the golden beets but not the red ones.